Made using the very best natural resources and production methods that originated almost 2500 years ago, Moshio (or “seaweed salt”) is the earliest known Japanese sea salt. Tracing back to the very first salt production methods in Japan, Moshio is made by drying spreads of seaweed, soaking them in salt water vats, and boil the remainder in a clay or iron pot over open fire while continuously stirring with a wooden pole to avoid roasting. After being sieved by hand, beautiful fine, dry crystals of salt combined with seaweed remains. 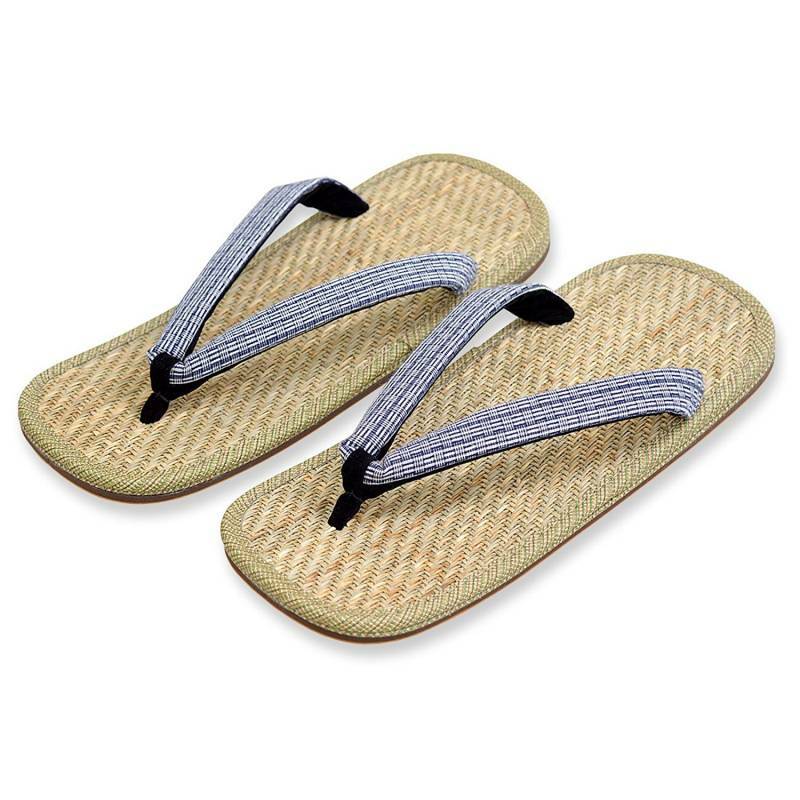 Setta sandals are a type of traditional Japanese footwear. Initially they were made of straw and used with Kimono. Nowadays they are made of various materials and they usually have a rubber sole. Setta can be used indoor, with informal wear or as beach sandals. Nowadays, it is still very popular to hand furin wind chimes from the eaves of a house or in front of a window. With the Japanese summer being really hot and humid the sound of the wind chimes allows to hear when a fresh breeze is coming. The sound of a wind chime also is a symbol of mental relaxation. The sound of wind chimes is a symbol for summer that often is featured in many commercials related to summer products. About 1000 years ago Umeshu came from China to Japan. It was first used as medicine against a bad through. The word Umeshu first time is documented in a dictionary on Japanese food in 1697. Home made Umeshu is very popular since it is delicious and easy to make. Since a few years, there is a small Umeshu boom and many small breweries launched their own brands. Choya Umeshu is the market leader with around 30% market share, but there are a few hundred brands in the market now with a large variety in flavors. Japanese cuisine such as Sushi, Sashimi and Tempura nowadays are well known around the world. But very few people know a wide range of other Japanese dishes. This is a collection of about a 100 things to eat and drink in Japan. Japanese paper is well known for its beauty and its distinctive patterns. It used can be used for writing and wrapping but it also is an elementary part of Japanese sliding screens and windows. Over time multiple centers of paper making have developed in Japan. On this page we introduced a few Japanese papers that have been recognized as national crafts. Having a long history of making great papers it is no wonder that many Japanese customers make use of objects made of paper. Here is a selection of a few Japanese paper crafts which survived and still are part of modern days. Japanese cuisine such as Sushi, Sashimi and Tempura nowadays are well known around the world. But very few people know a wide range of other Japanese dishes. This is a collection of about a 100 things to eat in Japan. Besides the obvious variety of green teas Japan has a broad away of alcoholic and non-alcoholic drinks. This section introduces the obvious and sometimes eventually surprising drinks found on the Japanese islands. Japan has abundant forests and many different kind of tree so that developing a broad range of woodcraft was a quite natural development for Japan. Japan has a very strong culture of using wood including house construction. As a material, Japanese wood has an unmatched warmth and responsiveness, and the large number of traditional woodcrafts it has inspired have found a corresponding special place in the Japanese heart. Since 2012 NIHON ICHIBAN cultivates Japan's traditions by developing international markets for Japanese craftsmen and traditional businesses.